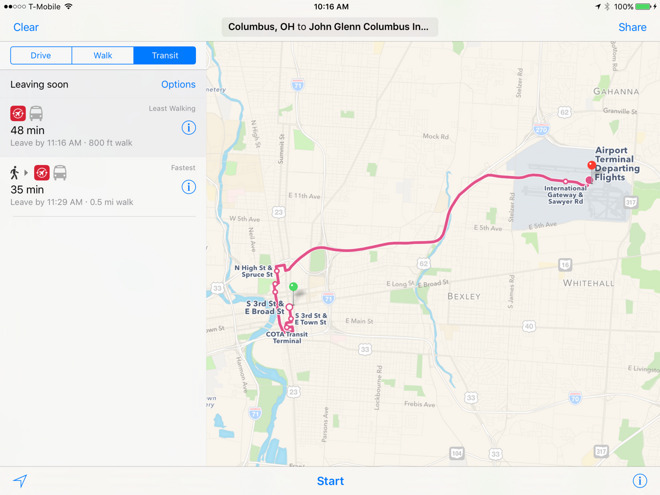 Just ahead of Tuesday's launch of iOS 10, Apple has enabled Maps public transit directions for two more U.S. cities, namely Columbus, Ohio and Pittsburgh, Pa.
Riders in Columbus can get directions for the Central Ohio Transit Authority's bus lines, while people in Pittsburgh have access to Port Authority buses and light rail. Where significant, lines are marked with their logos and colors. Apple has largely concentrated on the U.S. in reintroducing transit directions, which were stripped out alongside Google content with 2012's iOS 6, but brought back a year ago in iOS 9. Very few cities outside the U.S. and China have transit options in Maps, and many countries lack any coverage whatsoever. 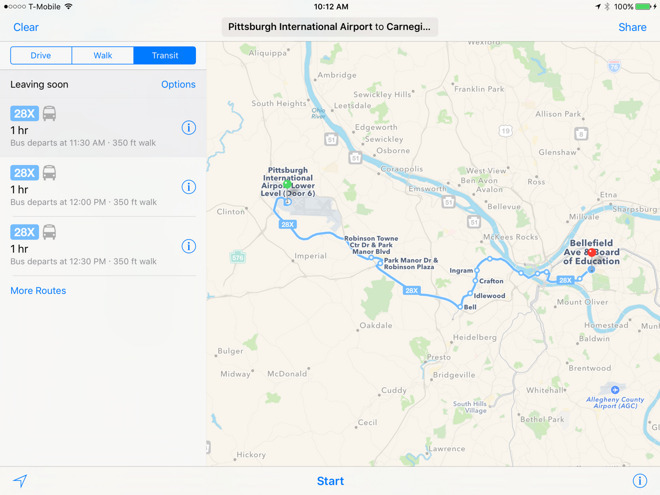 iOS 10 incorporates a number of changes to Maps, such as "proactive" route and destination suggestions, reservations through apps like Uber, and the ability to add mid-trip detours such as gas stations. Japan will be getting transit directions, including better station mapping.